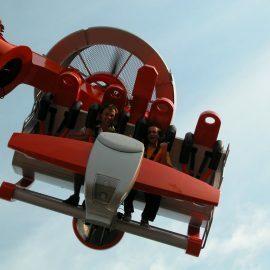 Flying Fury is made up of a “T column” and 2 parallel independent arms. 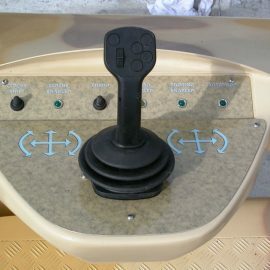 Each arm rotating 360° in both directions indipendently brings a craft 4 seats. 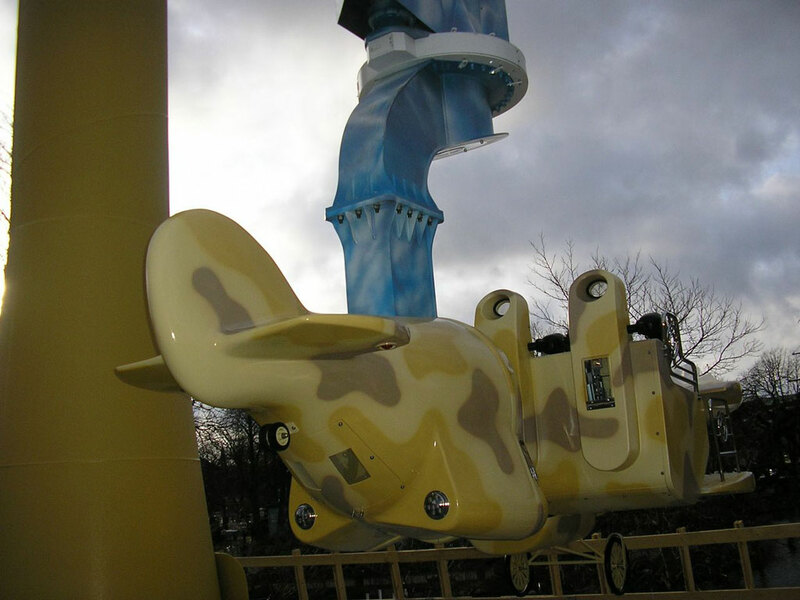 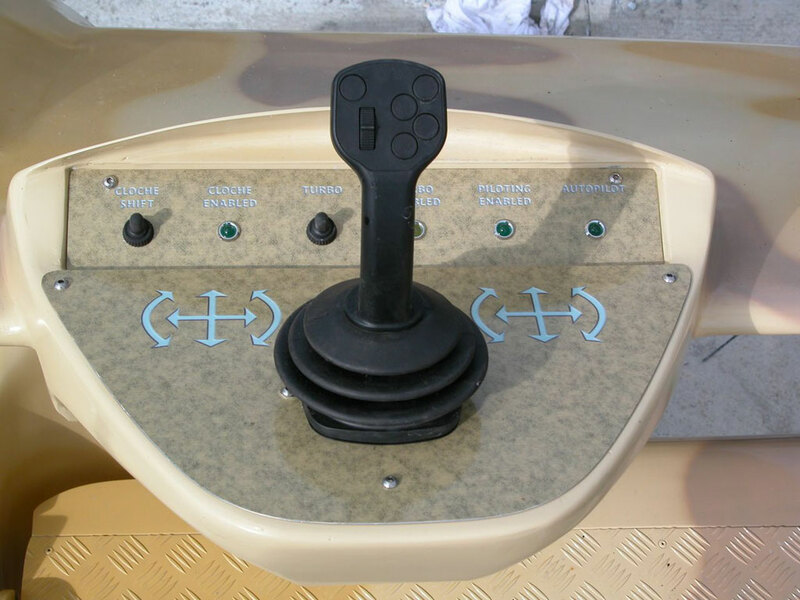 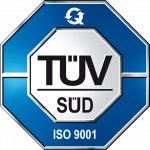 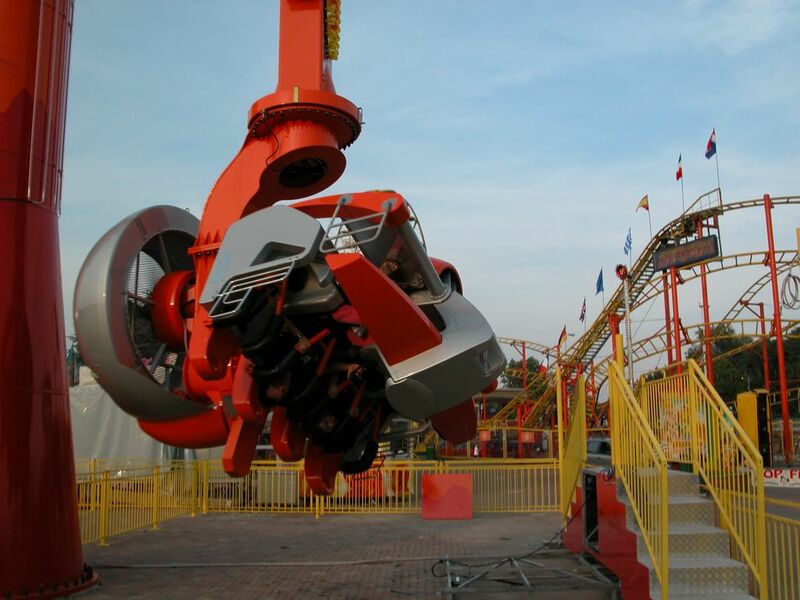 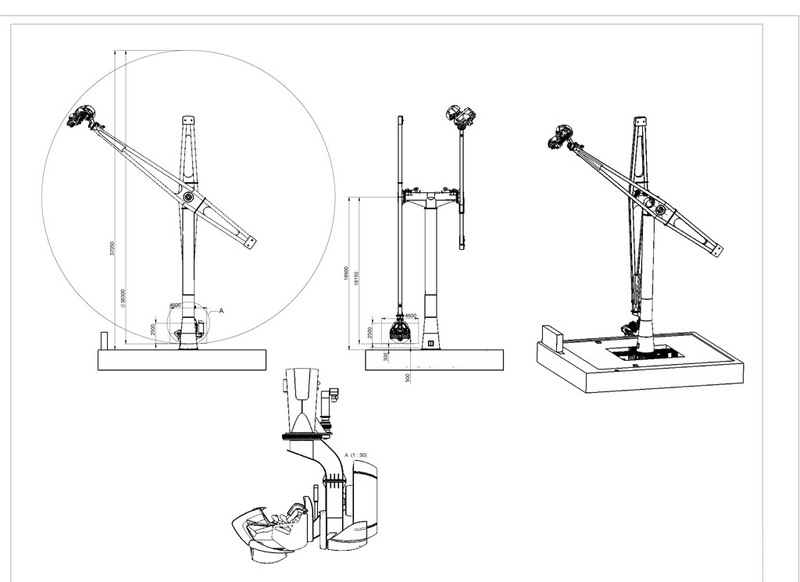 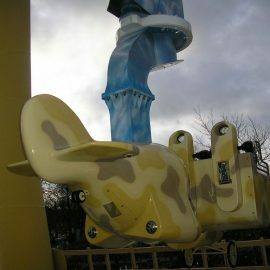 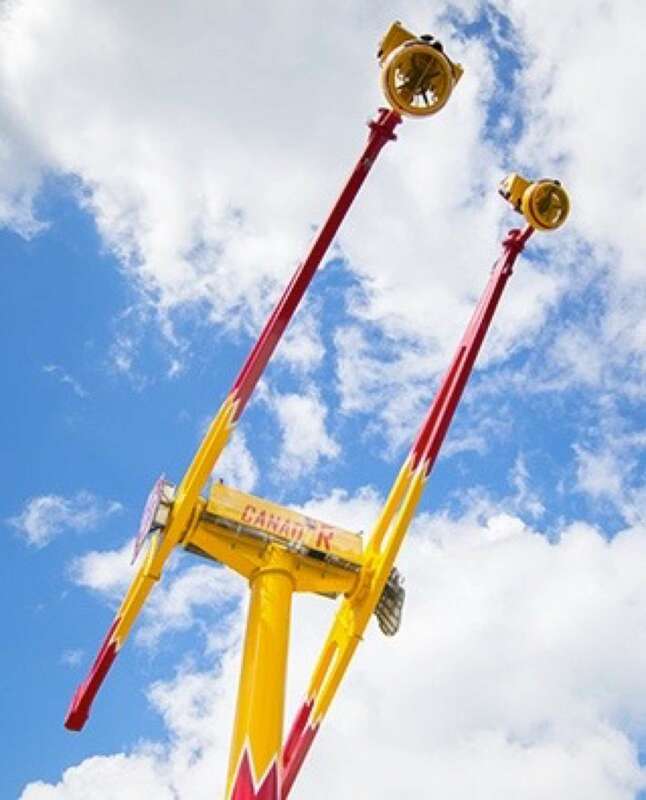 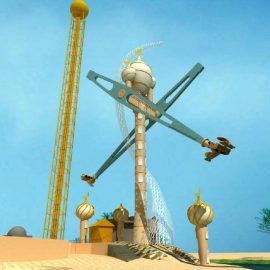 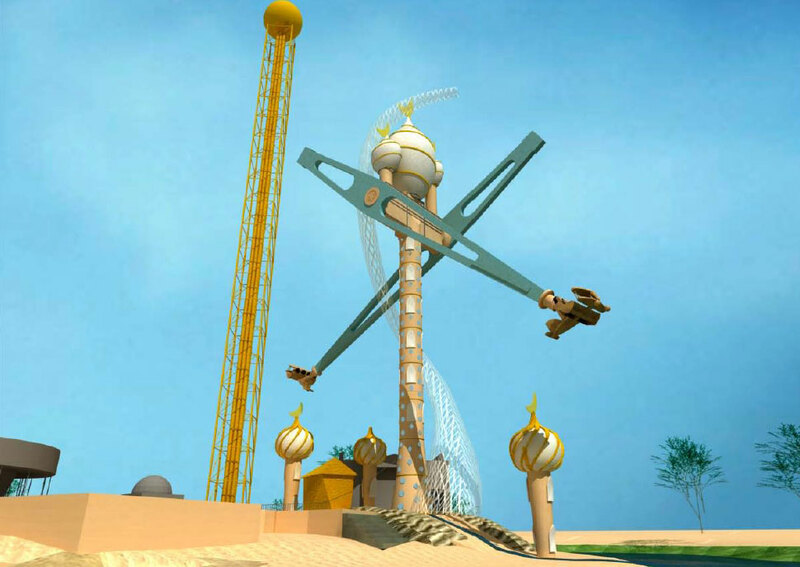 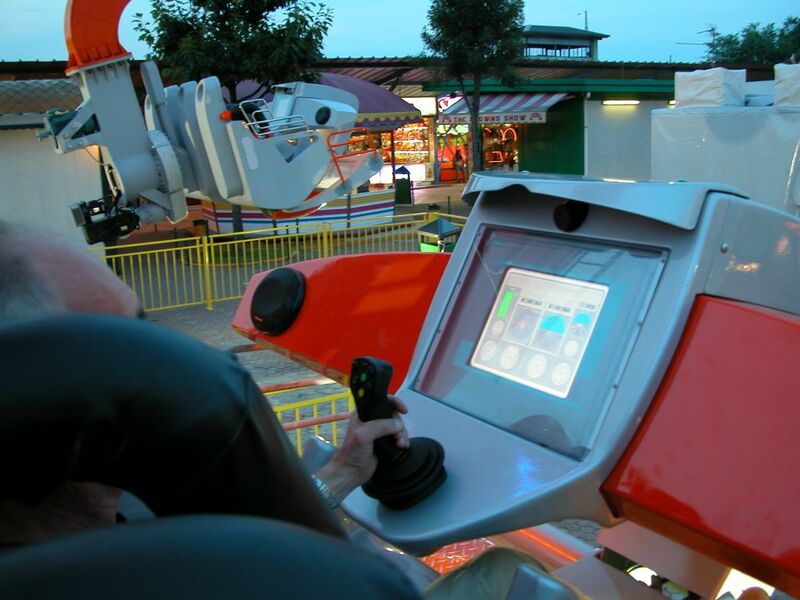 The INTERACTIVE SYSTEM allows each of the two vehicles to rotate indipendently 360° on the 3 main axes: while the support arm rotates so as to simulate sudden climbs and dives, the vehicle is free to turn both on the axis of the arm (yaw) and on its own axis (roll). 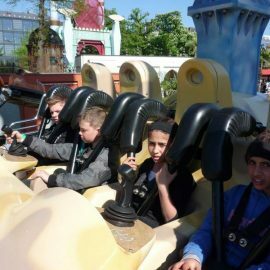 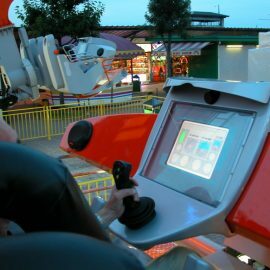 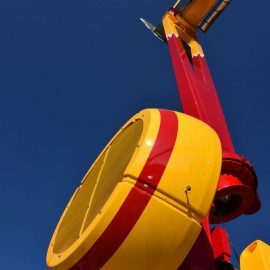 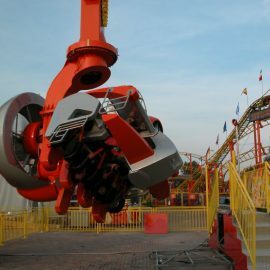 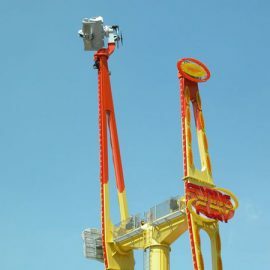 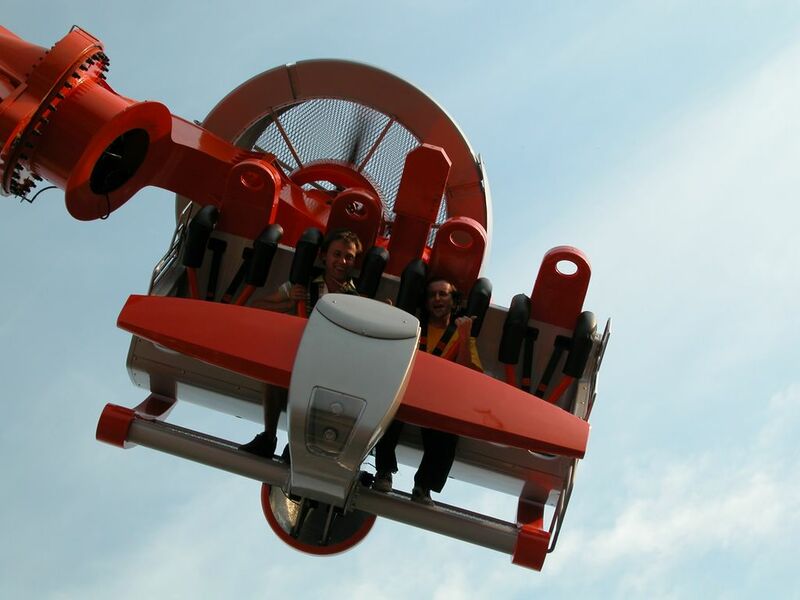 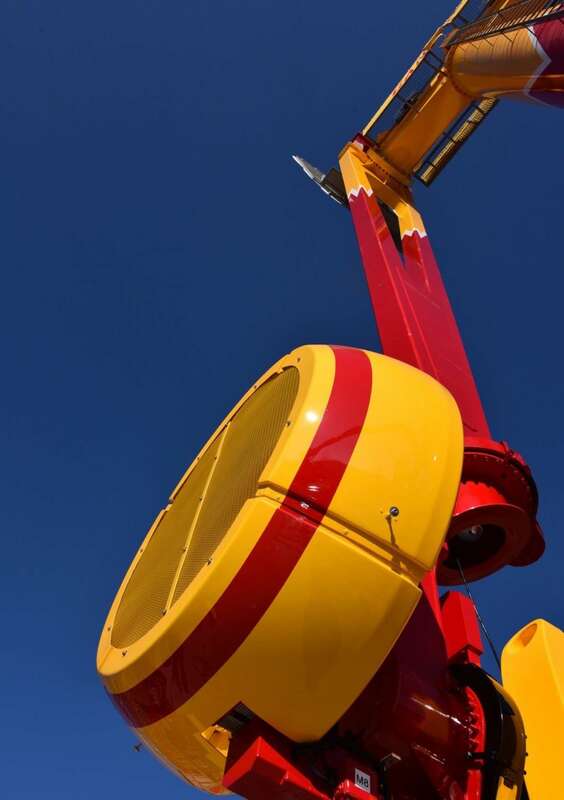 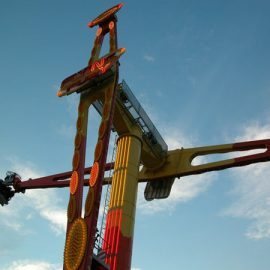 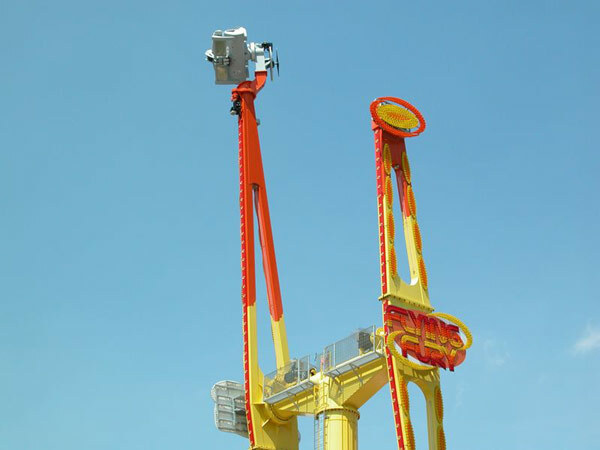 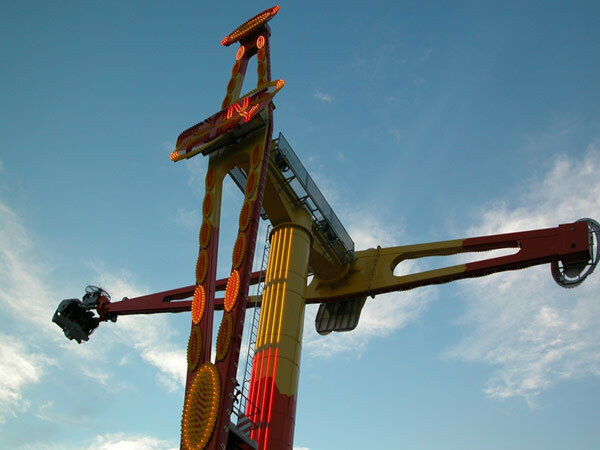 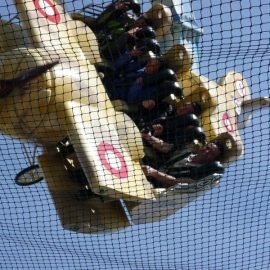 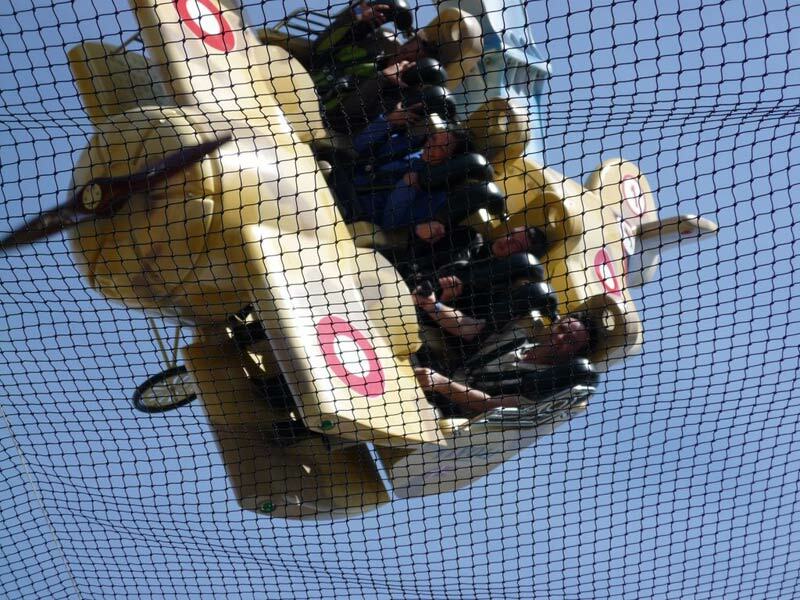 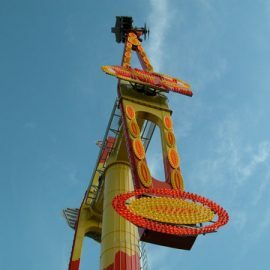 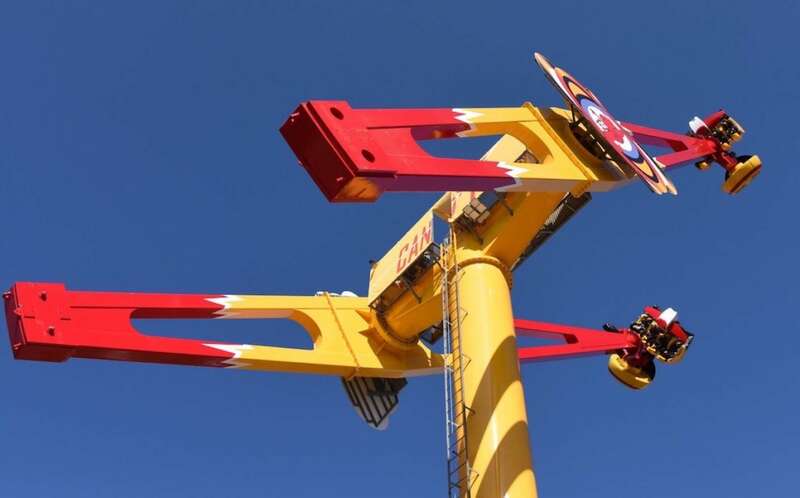 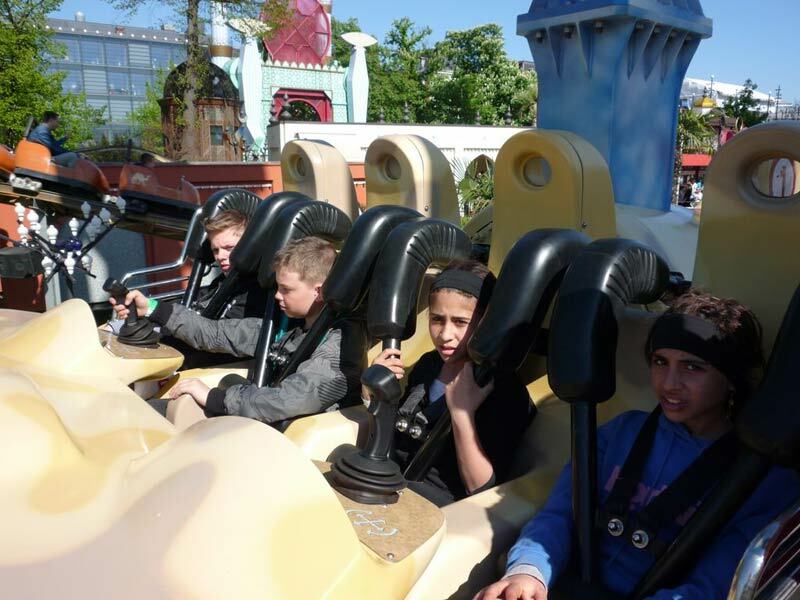 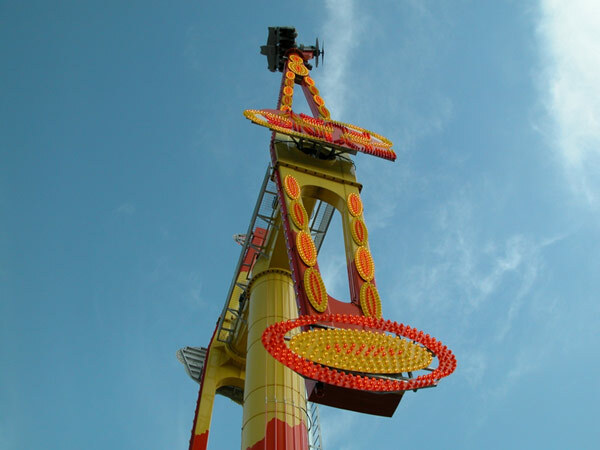 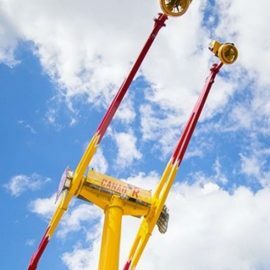 Interactivity allows the Riders to drive the movements making their own flight performance but Riders or Operator can also put also the plane into ‘emergency mode’ so that it reverts to an automatic programme. 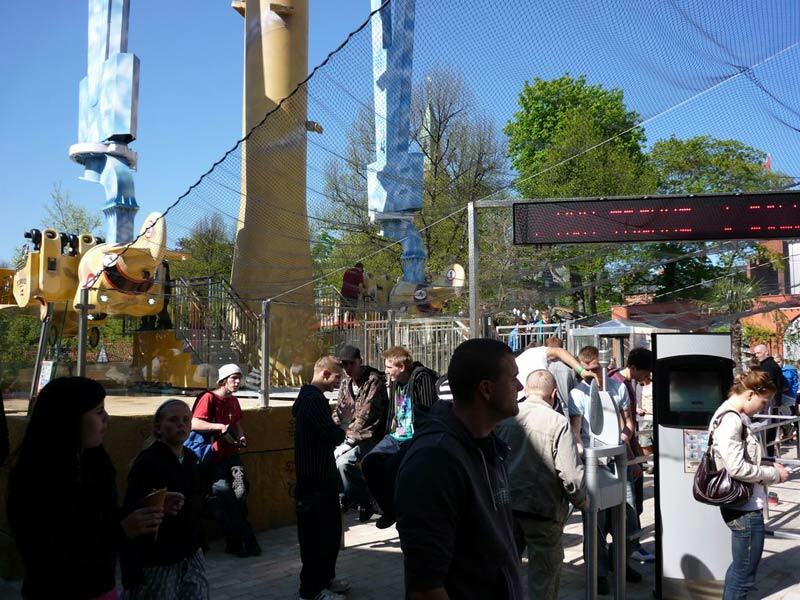 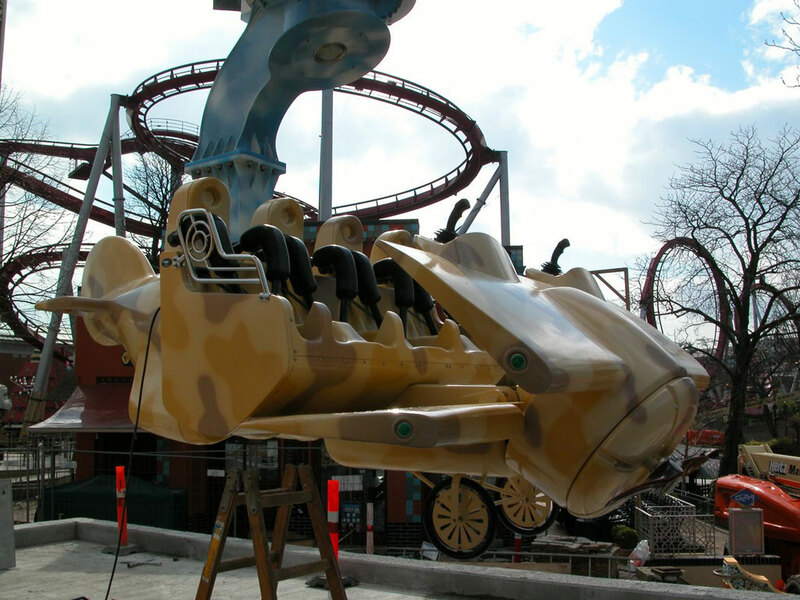 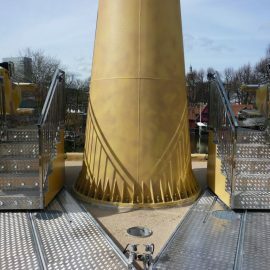 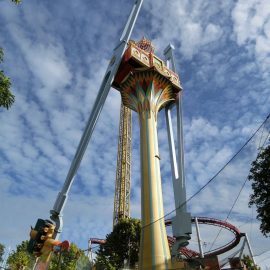 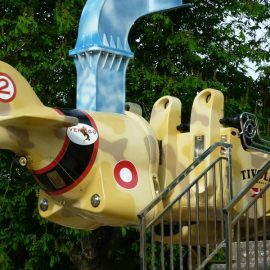 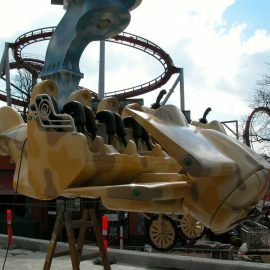 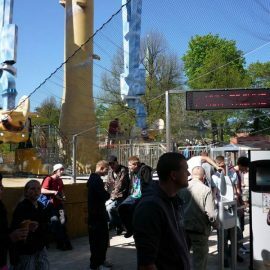 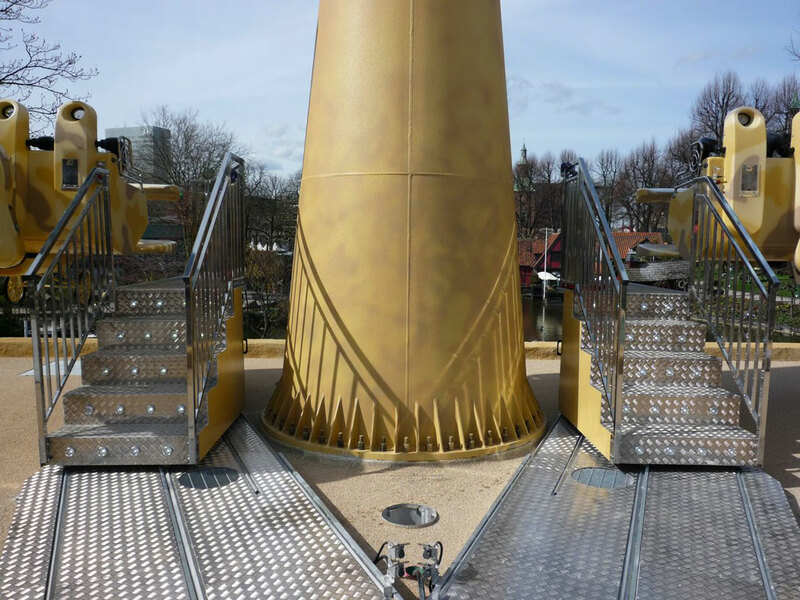 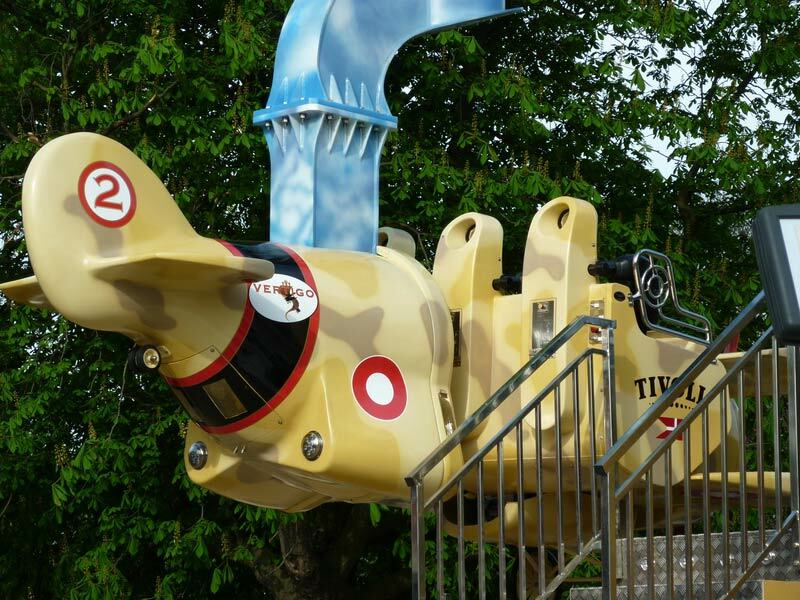 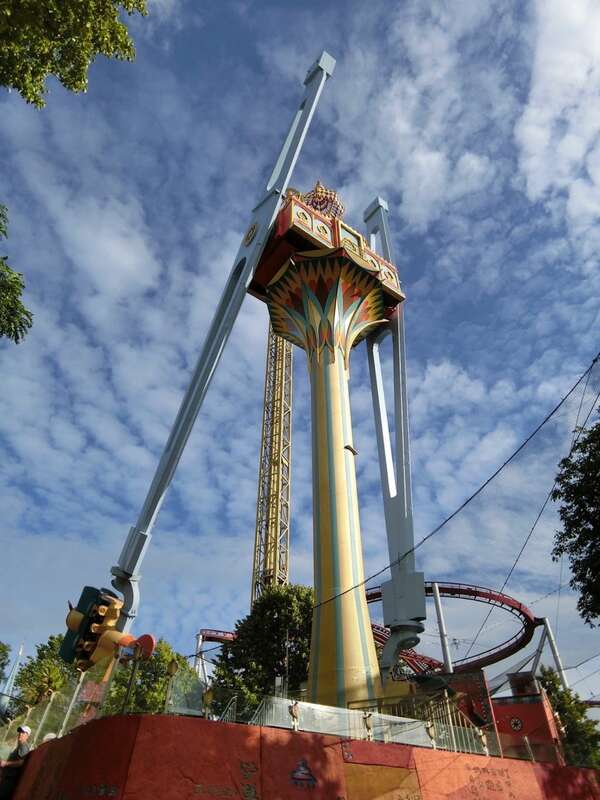 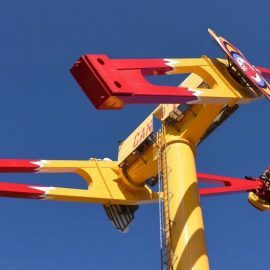 After the great success at EUROPARK MILAN, another unit of the widest interactive ride ever made is in operation also at TIVOLI COPENHAGEN.